Colorizable Stand-Ins really Stand Out! The new Stand-In Add-On Library brings classic outlined stand-in characters to your copy of StoryBoard Quick, StoryBoard Quick Studio, or StoryBoard Artist! They’re ready to stand in for any character, bringing simple vector line-drawings into the mix to represent anyone, anywhere! The Stand-In Man and Stand-In Woman vector characters work with imported projects from StoryBoard Quick Direct for the iPhone, iPad and Android. Not only will the colorizable Stand-Ins vector characters give you that super cool, hand-drawn look (without having to draw!) but they also “stand in” when you use the NEW mobile apps StoryBoard Quick Direct for iPhone and StoryBoard Quick Direct HD for iPad to create boards on the go! The characters are represented as sketch outlines in three elevations of all of the standard StoryBoard Quick poses: Stand, Walk, Run, Jump, Sit, and Prone. The Stand-In vector character images library is easy to find—the Library loads as a Palette right into your copy of StoryBoard Quick, StoryBoard Quick Studio, or StoryBoard Artist! Find them right away in the Palettes Menu under your Windows Menu and open it in the interface for quick and effortless use in your storyboard software. The Stand-In characters are great for presenting storyboards to clients and cast when you want less, rather than more detail. The Stand-In Man and Stand-In Woman are vector graphic (which are great for viewing and printing at any size, scales and prints at all resolutions) like our other storyboard software colorizable characters. Look great big or small. These colorizable silhouettes help you plan your shots early in your pre-production. Use the “Hair” control on your Color Palette to colorize their outlines a the “Skin” control on your Color Palette to colorize their fill, making these Stand-Ins distinguishable for all your project’s characters! 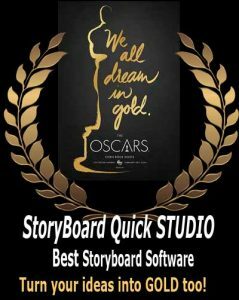 The Stand-In Add-On Library is the perfect addition to any filmmaker’s toolbox, and works seamlessly in your workflow with StoryBoard Quick storyboard software, StoryBoard Quick Studio, StoryBoard Artist and Storyboard Artist Studio. Check out the new Stand-In Add-On Library here!